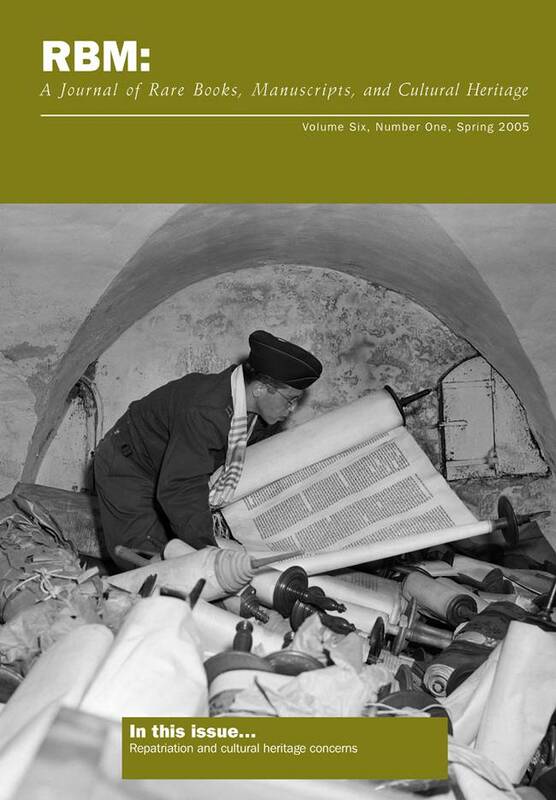 Rabbi Samuel Blinder sorts through Torah scrolls and other looted manuscripts and books at the Offenbach Depot. Courtesy National Archives, Records of the Office of the Chief Signal Officer, photo no. 111-SC-209154.